This immunofluorescence picture shows the brain of an Alzheimer’s disease mouse model, also known as the TgCRND8 mouse. 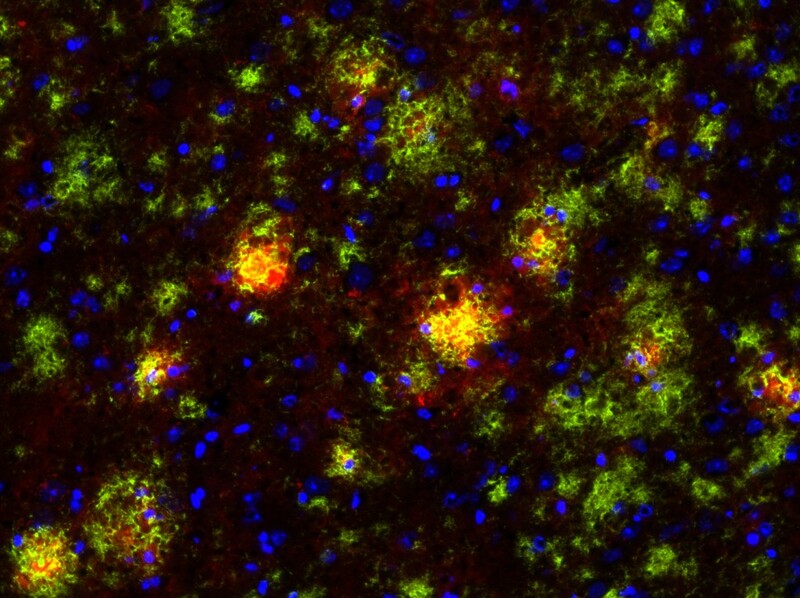 In the picture, the amyloid beta plaques are stained green and the microglia, or immune cells of the brain, are stained red. Image courtesy of Luke Woods. 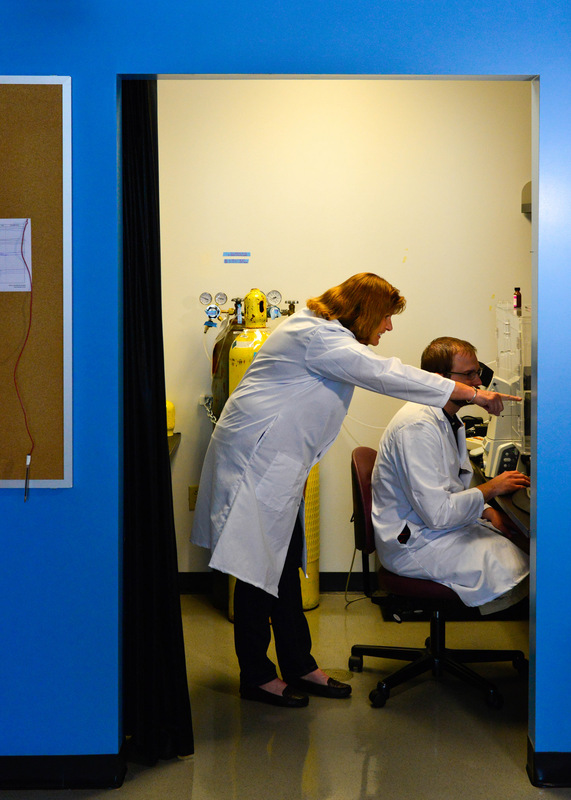 Jean Camden and Luke Woods have an ant’s-eye view of Alzheimer’s disease. Weisman’s lab studies Alzheimer’s and other diseases, so I sat down recently with Jean and Luke to talk about their research for Alzheimer’s & Brain Awareness Month. Q: What does your lab do, and how does it involve Alzheimer’s? Luke: We primarily have two projects. One, which has been a very longstanding project, is focused on salivary glands and salivary gland inflammation. The other is the Alzheimer’s project. The link between them is a particular type of cell surface receptor called a nucleotide receptor — more specifically, a P2 nucleotide receptor called P2Y2. These P2 receptors function in a lot of different ways, but the link is with inflammation: We look at P2 receptors in salivary gland inflammation and in Alzheimer’s disease, which has a very large inflammation component that often gets glossed over. In a lot of Alzheimer’s articles that the public reads, you hear about amyloid beta plaques and tau tangles and neurodegeneration, but a large component of that is inflammation, where some of the resident non-neurons in the brain start responding like there’s inflammation in the brain, and it actually kills neurons. That’s been the focus in Gary’s lab for the past 30-plus years. JEAN: The P2 receptors — especially the P2X7 and P2Y2 which we focus on — Gary during his postdoctoral work started studying these receptors without really knowing that they existed. At the time, he just knew that there was a pore formed in cells caused by the addition of the nucleotide ATP which eventually leads to apoptosis (cell death). Eventually, we cloned the human P2Y2 receptor gene with another group in North Carolina, so we call it “our receptor.” It only appears in cells under inflammatory conditions, such as Alzheimer’s disease, salivary gland autoimmune disease and cardiovascular disease. Any time you have tissue damage, it looks like the P2Y2 receptor is up-regulated. And then once the damage is healed, the receptor goes away. Inflammation is good — we want inflammation, that’s how we heal — it’s the chronic inflammation that’s bad. But we really don’t know how these receptors work and what their role is during chronic inflammation. Do we want to activate them, or do we want to inhibit them? LUKE: Scientists have investigated P2X7 receptor antagonists in the treatment of Crohn’s disease and rheumatoid arthritis — there are several clinical trials that have been focused on these receptors, evaluating whether you want to block or activate them. If you block them, you prevent the acute inflammatory responses that are good for wound healing; if you activate them, you may extend those responses past the healing phase into a chronic inflammatory phase that can be quite damaging. So unraveling that fine line of what you want to be doing to these receptors in disease settings is sort of what we do here. Q: When I think of Alzheimer’s, I think of a shriveled, shrunken brain, but I associate inflammation with swelling. Why the difference? LUKE: I think the distinction is acute versus chronic inflammation. With acute inflammation, you get swelling. The body has different types of immune responses: acute responders like neutrophils and macrophages are immune cells that act quickly. They come in, for example, if you have a scratch, and there can be swelling. Along with macrophages neutrophils can protect cells from bacteria. 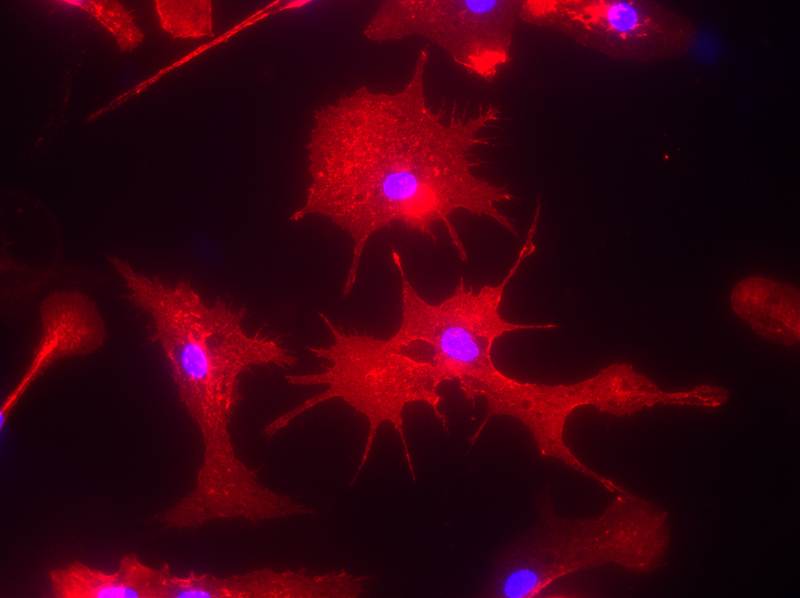 The macrophages can also clean up damaged tissue and then the repair cells go to work. Cells come in that lay down a new matrix, whereas undamaged cells then migrate onto the matrix and regenerate. Well, what happens after you’re done repairing is that there are signals that tell the inflammation to stop. In chronic inflammation, that’s where you have continued cell death, and the tissue would then shrivel up. The shriveled brain that you’re referring to is during chronic inflammation, and that’s an end-of-life case, after a very long bout with Alzheimer’s. JEAN: What we think of as inflammation is often a cut or a wound. It’s only been in recent years that Alzheimer’s disease has been considered an inflammatory disease. We have a phenomenal immune system, but when it goes awry, you have problems. In the other disease we look at — an autoimmune disease — your immune system starts to attack your own body. It’s hard to treat and understand the underlying mechanism. Q: So how are you trying to unravel the role of inflammation in Alzheimer’s? JEAN: To study Alzheimer’s, we have an Alzheimer’s mouse model. It overexpresses a gene for the amyloid precursor protein that enables the brain to accumulate high amounts of beta-amyloid plaques that you always hear about. So we’re using this mouse model that we’ve crossed with a mouse that does not express any P2Y2 receptor, so it’s called a knockout mouse. The P2Y2 receptor knockout mouse by itself is fine, and the Alzheimer’s mouse does develop Ab plaques, but it lives to approximately 6 months old before it will develop behavioral defects. The interesting thing is that when we cross the P2Y2 receptor knockout mouse with the Alzheimer’s mouse, the offspring that are Alzheimer’s mice without P2Y2 receptors prematurely die. So at least in this Alzheimer’s mouse model, it looks like the presence of the P2Y2 receptor is protective, because without it, the Alzheimer’s mice die much earlier. But we don’t really know which cell type is most important: Is it the P2Y2 receptor up-regulated on neurons that acts to repair them —which we’ve already shown happens — or is it the P2Y2 receptor on microglia (an immune cell of the brain), or is it the P2Y2 receptor on blood vessels in the brain that help recruit immune cells from the cardiovascular system to help with repair? So we’re using this mouse model to investigate the role of the P2Y2 receptor, plus we also use cell lines because we can easily control the environment for these cell lines in culture. We isolate primary neurons, we can prepare primary microglial cells or we can purchase cell lines that comprise blood vessels. We can then utilize these tools to investigate cell signaling mechanisms for the P2Y2 receptor in individual cell types. LUKE: One of the findings that we have found interesting in these primary cells is when you take them fresh out of the mouse, put them in a dish and then treat them as you wish. We’ve shown that if you activate the P2Y2 receptor in primary microglia from the mouse, they will actually engulf and chew up beta-amyloid. And so one of the things we think might be happening in this Alzheimer’s mouse model is that P2Y2 receptor activation in these microglial immune cells in the brain is working to break down those beta-amyloid plaques. And when you lose the P2Y2 receptor in that mouse model, those plaques develop quicker because the immune cells are no longer offering protection by chewing up that beta-amyloid. That’s one of the hypotheses we’re exploring right now. Q: So you’d bet that these receptors are actually protective against Alzheimer’s? JEAN: Yes. Going back to the human — it’s hard to get human tissues, especially brain tissues, but there is one published study that has shown that in Alzheimer’s patients who have passed away the P2Y2 receptor is down-regulated, meaning there’s not much left. Which would make sense. If it’s down-regulated, the plaques aren’t able to be chewed up, per se, by these microglia. There’s a correlation between low levels of P2Y2 receptors and Alzheimer’s disease that is apparent at the end of life. LUKE: It’s very difficult to do some of these studies in humans because most of the available Alzheimer’s tissues are from end of life cases where you can only look at the end result of the disease without looking at the progression of the disease. Obviously you can’t take brain tissue from a living person, so the ability to study live cells from Alzheimer’s patients is limited. We rely very heavily on mouse models. This immunofluorescence picture shows microglia cells that were isolated from the brain of an Alzheimer’s mouse model called TgCRND8 and cultured in a dish for further analysis. Image courtesy of Luke Woods. Q: What have been the biggest shifts in our understanding of Alzheimer’s in recent years? LUKE: Maybe one shift — I may not be the best expert to speak about it — is the idea that the beta-amyloid plaques are the cause of disease. It is now being mostly recognized that they’re really the tombstones of the disease. They’re not the initial cause, but rather the end result of the disease. For a long time investigators were focused on trying to prevent the buildup of beta-amyloid because that was one aspect of Alzheimer’s disease that you could see and measure. Now the thinking is that maybe the beta-amyloid does not contribute as much to disease progression as originally thought, and rather is the end result of a complicated mechanism that is actually causing the neurodegeneration. JEAN: There’s still debate on what causes Alzheimer’s disease. There is a small percentage of patients where it’s actually related to a genetic alteration in the amyloid precursor protein gene. LUKE: Another link has been with the ApoE (apolipoprotein E) gene, which makes a lipoprotein and cholesterol transporter. We inherit 1 copy of the ApoE gene from each of our parents and it has been shown that individuals who have at least 1 copy of a particular variant of the gene called ApoE4 are at increased risk of developing Alzheimer’s disease. 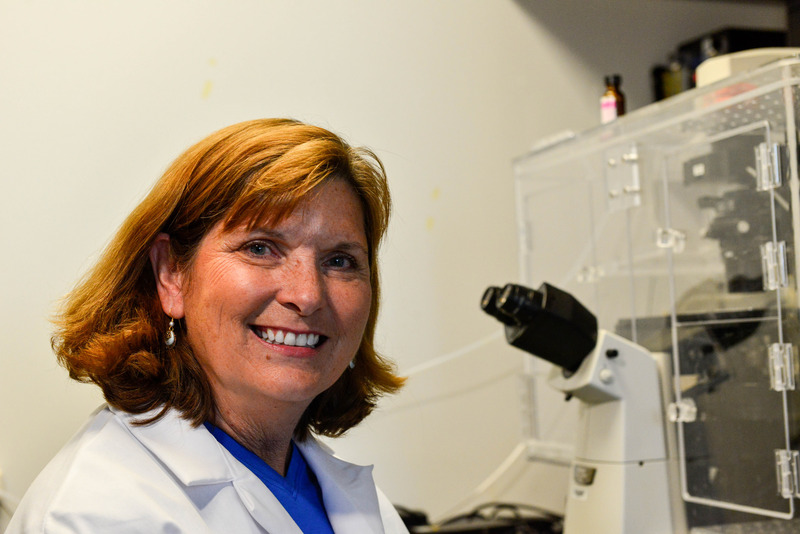 Q: From the perspective of a lab scientist, why do you care about Alzheimer’s? JEAN: We care about any disease, really, and if we can show that our receptors have anything to do with any disease, we’d be proud to have a role in that. LUKE: We don’t do much clinical science here, it’s mostly basic science. We contribute to the basic understanding of the disease so that drug companies and medicinal chemists who develop drugs for clinical use in Alzheimer’s patients can say, “Hey, this group’s research found a new mechanism related to Alzheimer’s disease, so let’s target this pathway to treat the disease.” It’s always nice to contribute to that sort of ground-level science. JEAN: That would be the ideal, to show that whether you have to activate or inhibit the P2Y2 receptor, it does something to improve the clinical outcome in Alzheimer’s patients. A better understanding of Alzheimer’s and other diseases is what’s needed — we’re just working to provide a piece of the puzzle. Q: How has being down in the trenches changed your perspective on research and Alzheimer’s in general? JEAN: We’re the ones who are hoping to clarify the direction for science to go. We do the experiments and we are the first ones to see the data. We collect the data that becomes the cornerstone for deciding the direction our research goes. I think Gary would agree with that — he depends on us a lot to collect the data and we depend on him to help determine which scientific findings to chase and which ones not to chase. I’ve been doing this for 35 years, and I really do enjoy the science. I’ve seen the science of these nucleotide receptors come a long way. These receptors have in common their use of extracellular nucleotides, particularly ATP (or adenosine triphosphate, more commonly known as the intracellular high energy molecule of all cells). And this ATP, is at a high concentration inside cells, so when it is released by cell damage, it can easily activate nucleotide receptors on nearby cells. It was Dr. Geoffrey Burnstock, now considered to be the grandfather of nucleotide receptors, who claimed a long time ago that there are receptors on the outside of cells that respond to ATP. Everybody kind of laughed at him, “Yeah, sure, right. There’s no way: ATP belongs inside the cell.” So for me personally, to come in on the ground level for these receptors and find a role for them in a variety of diseases has been exciting for me. LUKE: ATP is the energy currency inside of all cells, so it’s use outside cells would be like tossing money out the window. Why would they want ATP outside the cell? It didn’t make any sense at the time, but looking back I think it does. What happens if you damage or rupture a bunch of cells during an injury? You get the release of a high concentration of ATP that neighboring cells recognize as a danger signal telling them that an injury has occurred. In that sense, ATP makes the perfect signaling molecule to tell other cells that an injury has occurred and they need to start the repair work by recruiting immune cells to the damaged tissue. Q: Where would you like to be in five years with this research? JEAN: I talked about determining how the P2Y2 receptor in this mouse model was protective. It would be nice to find out which cell type on which the P2Y2 receptor is expressed in contributes most to neuroprotection. Our hypothesis would be that the microglial cells are very important, since they gobble up beta-amyloid, but other cell types including neurons and endothelial cells are likely involved. We’re also anxious to look at other inflammatory diseases to see if the P2Y2 receptor plays a similar role there. LUKE: From somebody who does a lot of bench work, something I would like to see is a really good tool, a specific agonist or antagonist of the P2Y2 receptor that could be used in the clinic. There are a few suitable compounds available that we use to investigate the P2X7 receptor— I’ve told you that some have been tested in clinical trials — but the P2Y2 receptor has been sort of an enigma, due to the lack of selective inhibitors and agonists that are specific enough for clinical use. I’d like to see the development of a specific agonist or antagonist that could eventually be used to treat inflammatory diseases. There’s no reliable drug that is currently suitable to investigate the P2Y2 receptor in animals or humans, so clearly more work is needed there. The next time you slather mustard on your hotdog or horseradish on your bun, thank caterpillars and brassica for that extra flavor. While these condiments might be tasty to you, the mustard oils that create their flavors are the result of millions of years of plants playing defense against pests. But at the same time, clever insects like cabbage butterflies worked to counter these defenses, which then started an arms race between the plants and insects. 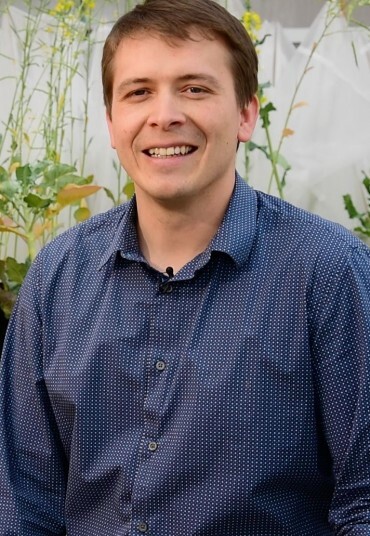 An international research team led by University of Missouri Bond Life Sciences Center researchers recently gained insight into a genetic basis for this co-evolution between butterflies and plants in Brassicales, an order of plants in the mustard family that includes cabbage, broccoli and kale. The team published these new insights online in Proceedings of the National Academy of Sciences (PNAS) in June. While you might like the zing in mustard, insects don’t. Compounds, called glucosinolates, create these sharp flavors in plants to defend against caterpillars, butterflies and other pests. Brassicales species first evolved glucosinolate defenses around the KT Boundary — when dinosaurs went extinct — and eventually diversified to synthesize more than 120 different types of this compound. For most insects, these glucosinolates prove toxic, but certain ones like the cabbage butterfly evolved ways to detoxify the compounds. “Seeing the variation in the detoxification mechanisms among species and their gene copies gave us important evolutionary insights,” said Hanna Heidel-Fischer, a lead author on the study based at the Max Plank Institute for Chemical Ecology in Germany. To look at these genetic differences, the team used 9 existing Brassicales genomes and also generated transcriptomes — the set of all RNA in a cell — across 14 Brassicales families. This allowed the team to map an evolutionary family tree of sorts over the millennia, seeing where major defense changes occurred. This family tree was compared with the family tree of 9 key species of Pieridae butterflies, which includes the cabbage butterfly. Pires and his colleagues identified three significant evolutionary waves over 80 million years, where plants developed defenses and insects evolved counter tactics. This back-and-forth pressure resulted in the evolution of many more species of plants and butterflies than in other groups without glucosinolate pressures. Co-evolution is not a new idea. About 50 years ago two now-renowned biologists, Peter Raven and Paul Erhlich, introduced the idea of co-evolution to science. Using cabbage butterflies and Brassica plants as a prime example, the two published a landmark study in 1964 advancing the idea that two species can mutually influence the development and evolution of each other. 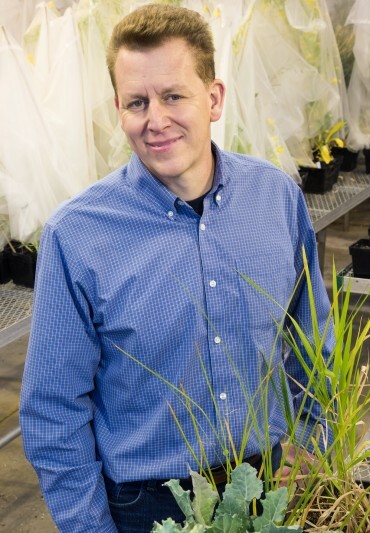 To explore the genetics of how this works, Pires’ lab partnered with Chris Wheat, professor of population genetics in the Department of Zoology at Stockholm University. 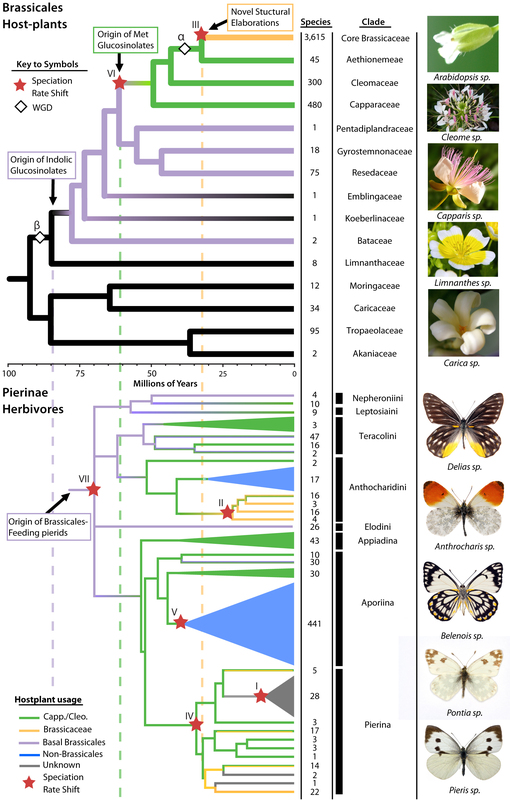 “Using Ehrlich and Raven’s principles and models, we looked at the evolutionary histories of these plants and butterflies side-by-side and discovered that major advances in the chemical defenses of the plants were followed by butterflies evolving counter-tactics that allowed them to keep eating these plants,” Wheat said. This research provides striking support for the ideas of Ehrlich and Raven published 50 years ago. Understanding more about how plants and insects co-evolve could one day lead to advances in crops. “If we can harness the power of genetics and determine what causes these copies of genes, we could produce plants that are more pest-resistant to insects that are co-evolving with them—it could open different avenues for creating plants and food that are more efficiently grown,” said Pires. Proceedings of the National Academy of Sciences (PNAS) published the study, “The butterfly plant arms-race escalated by gene and genome duplications,” in June. The National Science Foundation (PGRP 1202793), the Knut and Alice Wallenberg Foundation and the Academy of Finland provided the funding for this research. Seeing the whole picture can mean a lot when it comes to figuring out HIV. 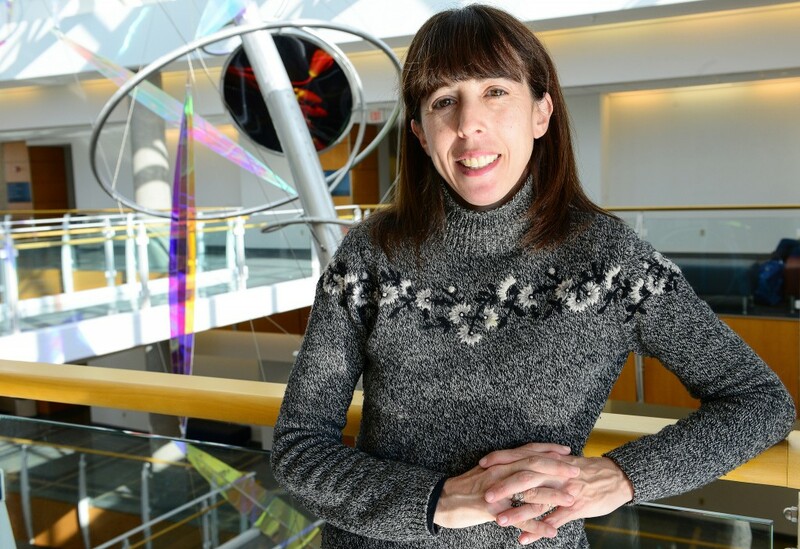 Researchers at the University of Missouri Bond Life Sciences Center are gaining a clearer idea of what a key protein in HIV looks like, which will help explain the flexible protein’s vital role in the virus life cycle. The protein the researchers imaged is a building block that forms the virus’ capsid, a protective shell surrounding the virus’ genes. The journal Science published their findings online June 4. This is the most complete model yet of an HIV-1 capsid protein. 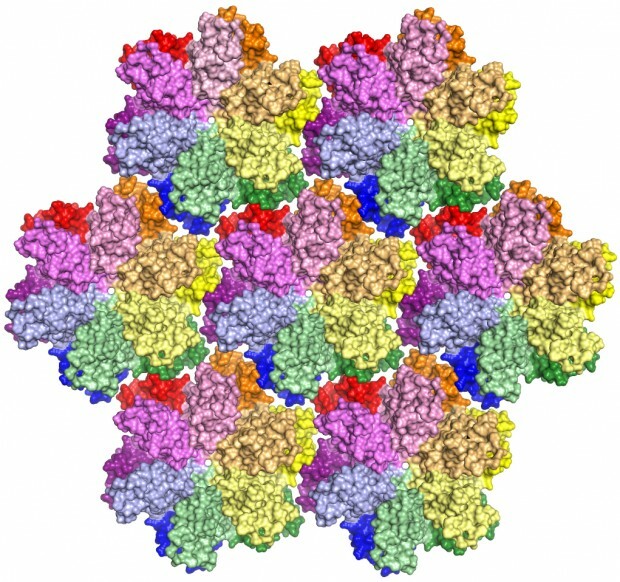 In a virus, the protein combines in groups of five or six — called pentamers and hexamers, respectively — that assemble into a mosaic that forms the capsid shell. Roughly 1,500 copies of the protein, grouped into about 250 hexamers and 12 pentamers, comprise the capsid. HIV, or human immunodeficiency virus, is the retrovirus that leads to AIDS — acquired immunodeficiency syndrome. Roughly 1.2 million people live with HIV in the United States, according to the Centers for Disease Control and Prevention. Globally, about 35 million people were living with HIV in 2013. Over the years, scientists have employed various techniques and tricks to figure out the structure of the capsid protein. But until now, the clearest image had been made of a mutated version of the protein. It was a compromise: the mutation made the protein stable enough that the scientists could get a good snapshot, but they couldn’t see the detailed interactions between hexamers. Sarafianos’ lab figured out how to get the full picture: a detailed image of the unmodified proteins that filled all the gaps between hexamers. 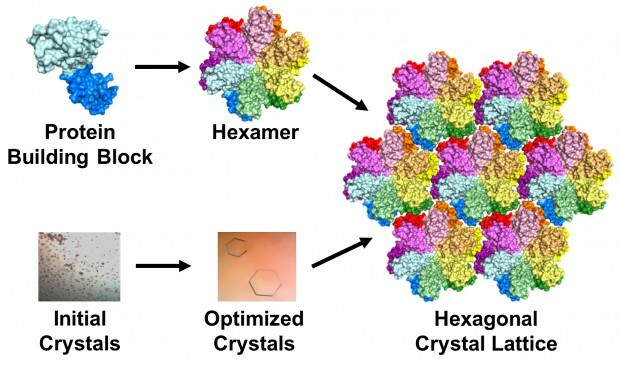 The team used a technique called X-ray crystallography to unravel the protein’s secrets. Basically, they took many copies of the protein and coaxed them into forming a patterned, crystalline lattice. Next they shot high-powered X-ray beams at the crystal. By interpreting how the X-rays scattered when they ricocheted off the proteins, the researchers made a 3-D map of the protein. The researchers altered, tested and honed their 3-D model until it exactly matched the map produced by the X-ray diffraction pattern. This can be difficult and painstaking, but the researchers’ greatest challenge was creating the protein crystals in the first place: Scientists had been trying to crystallize the unmodified version of the HIV protein for decades without success. To make a crystal, proteins are suspended in a liquid then slowly precipitated out, just like a “grow your own crystals” kit. But there are a lot of variables that control the process, from salts and additives in the liquid to the amount of protein in the mixture. Initially, most arrangements the researchers tried resulted in useless brown junk, Kirby said, caused by the proteins forming solids too quickly. Anna Gres, an MU chemistry grad student who led the project, used a crystallization robot to screen roughly 2,500 conditions. That was the easy part, Gres said: “The real challenge begins afterwards, as one needs to manually optimize the initial crystallization conditions to find the one that will produce protein crystals of desired quality. This process can take years. In our case, I think we were lucky: It took approximately 500 manual screenings and about 6 month.” But the hard work paid off when she was finally able to produce lovely, hexagonal crystals. Surprisingly, the crystals formed in groups of six proteins, which matched their formation in the viral capsid. The transition from tiny, useless particulate to invaluable crystals was tremendously exciting, Kirby said. But even to Kirby and Sarafianos, why their attempts succeeded when many others failed remains a little mysterious. “I still don’t know what are the fine details that made the difference,” Sarafianos said. Once the researchers got a good look at the interactions between hexamers, they were surprised by what they found. Based on the genetic sequence of the protein, scientists speculated that they would be hydrophobic, or repel water. Instead, they found that “ordered” water molecules at specific sites played a crucial structural role by bridging interactions at the interface between hexamers. To test that hypothesis, they took the crystals, dehydrated them and checked to see if their shape changed. Although the protein lattices may look like sturdy crystals, they’re more like jello, Sarafianos said. The change in shape suggested that water molecules are important in that they allow the capsid to assume different shapes. Moreover, Sarafianos said, the capsid’s malleability and plasticity could be critical to the life cycle of the virus and allow it to act as a multi-functional molecular Swiss army knife. A clearer image of the capsid protein, could help Sarafianos’ lab gain a better understanding of how the body combats the virus and to discover new ways to disrupt the viral capsid. “Now we have a system to study effects of capsid-targeting compounds with novel mechanism of action,” Gres said. Working with a medicinal chemist, Sarafianos’ lab will undertake an iterative process of making compounds, solving their structures, testing them against HIV and then refining the molecules, with the ultimate aim of producing new and effective antiviral drugs. 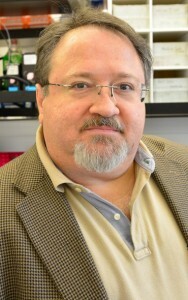 Sarafianos is an associate professor of molecular microbiology and immunology and Chancellor’s Chair of Excellence in molecular virology with MU’s School of Medicine and an associate professor of biochemistry in the MU College of Agriculture, Food and Natural Resources. The study, “X-Ray Crystal Structures of Native HIV-1 Capsid Protein Reveal Conformational Variability,” was recently published in the journal Science. Research funding has been provided by the National Institutes of Health (Grants AI112417, AI120860, GM103368, AI076119, AI099284, and AI100890 (SGS), and GM066087 (OP)). The content is solely the responsibility of the authors and does not necessarily represent the official views of the funding agencies. What if a chemical changes the way an animal parents? That could happen due to endocrine disruptors like bisphenol A (BPA). A recent study of California mice exposed to BPA showed parents spend less time feeding, grooming and interacting with their babies, according to University of Missouri research. Even mother mice not exposed to the chemical parented differently if their male partner was exposed during development. Most studies only use laboratory mice and rats — where the mother is the sole parental provider — so how early contact to BPA may affect the father and his partner remained a critical gap in existing research. BPA and other endocrine disrupting chemicals like ethinyl estradiol (EE) — found in birth control — concern scientists because they build up in the environment and mimic natural hormones produced by animals, including humans. Everyday exposure to these chemicals can impact offspring development and now have been found to alter adult behavior in test animals. California mice have special significance for studying parental behavior. 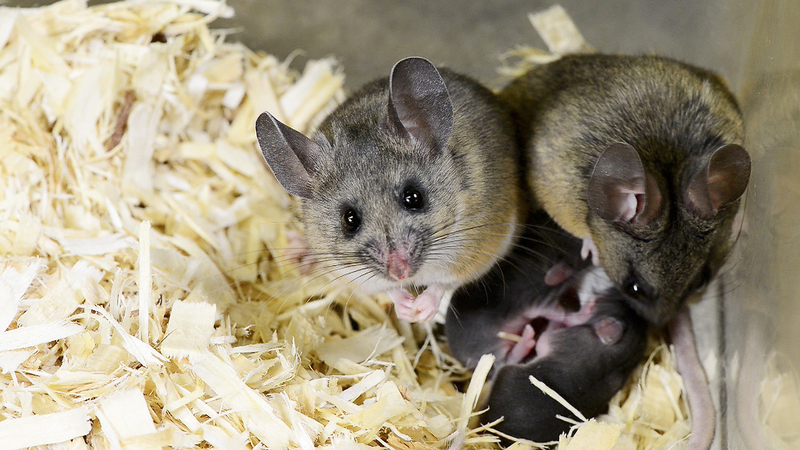 Unlike most lab mice, Californian mice pair up to mate and care for offspring. This monogamous behavior could give researchers insight into child rearing behavior found in most human societies and other biparental animals that would be impossible to measure in lab mice and rats. 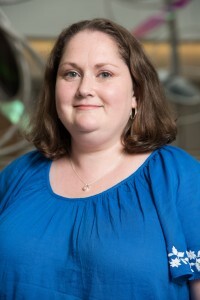 MU graduate student and primary author Sarah Johnson worked with Rosenfeld to design the study to look at both sexes. Female and male mice were fed one of three diets — food supplemented with BPA or ethinyl estradiol or endocrine-free (control) food — two weeks before breeding. The mice were then randomly paired with the same mate for the entire study. The behavior of both sexes was then tracked for activities like time spent grooming pups, time spent in the nest and time mothers spent nursing. But how do you measure the behavior of parents? Rosenfeld’s team depended on hundreds of hours of video footage, taken at particular times of day and night for seven days, starting two days prior to birth. By using infrared cameras they tracked all 56 litters of mice, logging the number of and duration of activities mothers and fathers completed. During this time, the body weight and temperature of the F2 pups, who were not directly or fetally exposed to any chemicals, was logged to monitor their development. While results showed reduced pup attention from BPA/EE exposed mother mice, the most intriguing result showed that unexposed moms mated with exposed fathers reduced the time they groomed and cared for offspring. Researchers hope these results will spur others to look at long-term effects of endocrine disruptors on parenting behavior from generation to generation in animal models and, more importantly, in humans, to see if these chemicals can disrupt parental behavior of mothers and fathers, and if so, whether these effects can be transmitted to subsequent generations. The study, “Disruption of Parenting Behaviors in California Mice, a Monogomous Rodent Species, by Endocrine Disrupting Chemicals,” was funded by the National Institutes of Health (Grant: 5R21ES023150-02) and was published in the journal PLoS One.